There is a nice little splash pad not far from our house, and we have definitely not been taking advantage of it enough this summer! We went once earlier in the summer when Ava & Rhett were here, but haven't been back since...until today. We met Jen & Emilia there for a picnic and some splashing, and the kids had a blast! I definitely need to take them a few more times while it's still hot enough outside. Oh, who am I kidding? We live in Houston & it's crazy hot, so I probably have several more months before it's too cold to splash in the water! This year we decided to have a joint birthday party for Adley & Hudson. Since their birthdays are only 5 days apart & right now they have all the same friends, it seemed to be the logical choice! We decided to have a "Beach Party" at our house. We had lots of lunch, lots of swimming, and lots of fun. Thanks to my mom, the decorations were spectacular & we had a great time celebrating our 2 little munchkins! We had a pretty low-key Easter weekend this year, but it was really nice to spend time with just our little family! The kids & I had spent several days in Duncan the weekend before Easter, and Matt couldn't get off work to travel on the holiday weekend, so it was just us at home for the weekend. Sunday morning the kids checked out their Easter basket treats. Well, actually Adley checked hers out & then opened Hudson's "for him." I think she really just wanted the Puffs he got in his basket! She was very excited about the Bubble Blower! After church, we went to Cheesecake Factory with Rob & Jo Harmon for lunch. Adley kept us all entertained playing with her baby doll. While I was in the bathroom changing Hudson, she apparently told everyone that her baby had a "big, stinky poo-poo" and she needed to change the diaper. She also roped Rob into feeding her baby several times during lunch, and even went to sit by him & lay on the seat next to him. We didn't have an Easter Egg hunt on Sunday afternoon since the weather wasn't too great. It apparently didn't matter to Adley because when I mentioned it she informed me she had already had an Easter Egg hunt at school. I guess one hunt a year is enough for her! I did convince her to dye some Easter Eggs with me & we had lots of fun! 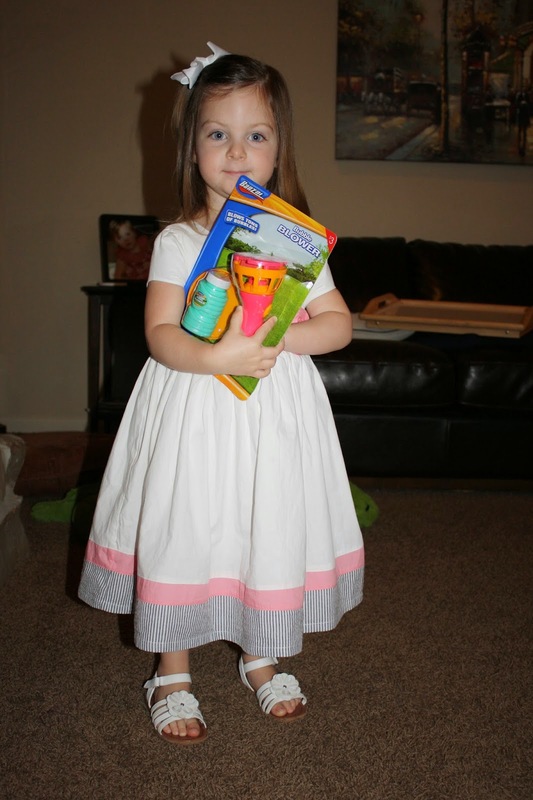 I think her favorite part was wearing her new apron that she got for Easter & picking out an apron for me to wear! So proud of her creations! 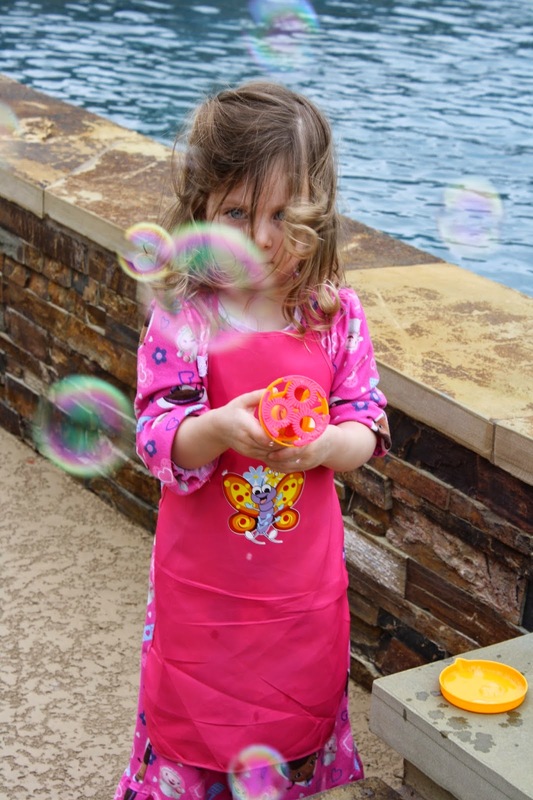 After we dyed eggs, Adley & her Daddy went outside and played with her new bubble blower. She had so much fun! While they were playing outside, Hudson was having a snack of strawberries & I'm pretty sure it was his favorite part of the day! Although we certainly missed being with family for the holiday, it was a great day to relax and enjoy some quiet family time! 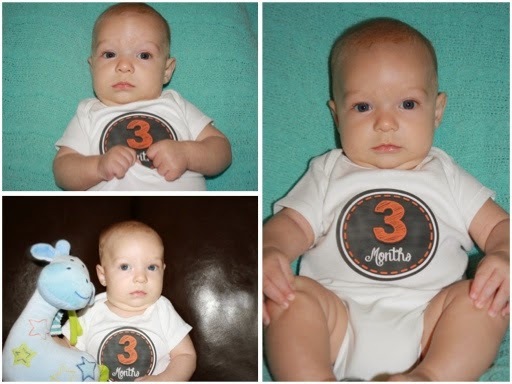 Our sweet baby boy is growing up too fast! 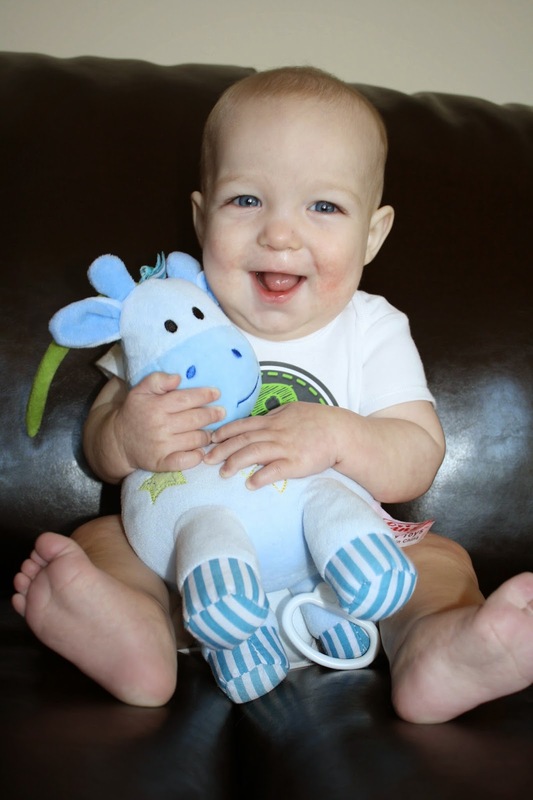 8 months old & a bundle of joy (except if Mama walks out of the room…then he gets upset). His sister LOVES him, and he loves her right back! One of their favorite things is for Hudson to sit in the bed with Adley when she wakes up from her nap. She scoots over so he has room to lay beside her & they just sit there playing and laughing. SO CUTE! Sister insisted on being in a picture with him! He is very social & loves people! As long as someone is holding him, talking to him, or playing with him he's happy. He's not a big fan of being alone, but as long as he can see someone else he is usually perfectly fine. 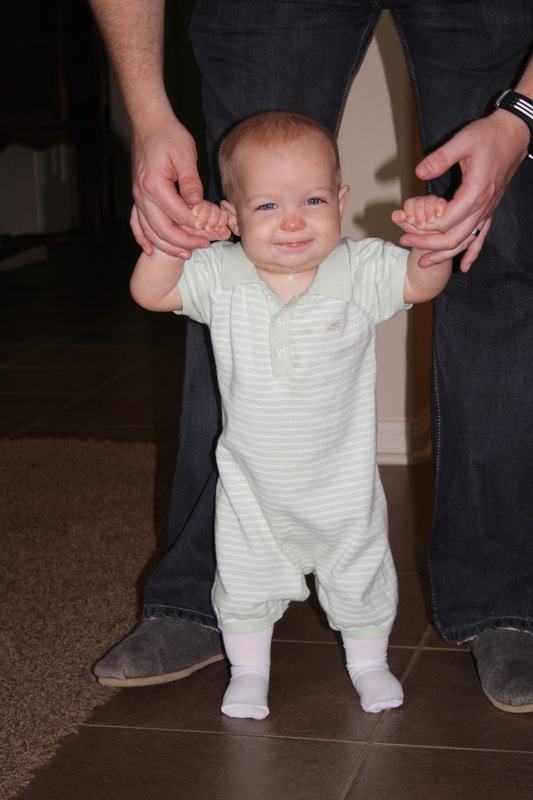 If he's crying or fussing and Adley walks over close to him, he immediately stops & smiles. Her favorite thing to ask him is "Hudson, where's my smiles?" and he gives her a huge smile every time. He is FINALLY sleeping through the night (most of the time). He usually goes to bed around 7:30 (though sometimes he is ready for bed at 6 or 6:30). Most nights he will wake up around 4:30-5:30, I feed him quickly, and he goes back to sleep until 7:30-8:30. I'm sure that early morning feeding will stop before long, but as long as he goes back to sleep for 3 hours or so, I don't mind it too much. I think a quick feeding is much better than waking up for the day at 4:30 or 5:30! He is starting to really enjoy solid foods. 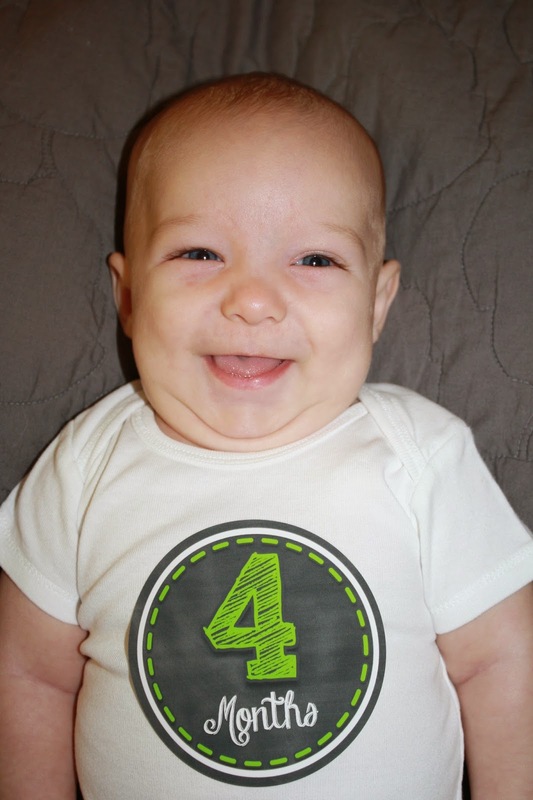 He has tried avocado, cottage cheese, green beans, refried beans, peas, mac & cheese, butternut squash, and some soft bread, in addition to a variety of pureed baby foods. He usually makes a funny face like he hates what he's eating, but then keeps eating it! I am also still breastfeeding, with about 4-5 feedings a day. Although he's not crawling yet, he is trying really hard. He manages to scoot & roll himself to get a toy or move all around in his bed. He also gets up on his hands and knees and rocks back & forth, and even occasionally moves one leg, but he hasn't managed to actually crawl. He already tries to pull up on things, and loves to stand up while holding on to our hands. Jumping is also a favorite pasttime. He loves to babble & jabber. He has definitely discovered his voice & loves to yell or whisper. He says "goy, goy, goy" a lot & Matt is certain that he says "da-da." He has a serious side like his Daddy! Adley: Mama, I'm a superhero! Me: (putting her jacket on her) Oh, that's so cool! Which superhero are you? Adley: Superheroes not wear jackets. Me: Yeah, your jacket is like a cape. Superheroes wear capes. Adley: (exasperated) Mama, superheroes not wear jackets (takes the jacket off). Adley: Mama, is she sick? Adley: Girl singin'. She sick? Me: No, she's not sick. Why do you think she's sick? Adley's friend Mason brought her a balloon on Valentine's Day. She made him a card. After they exchanged presents she looked at him and said, "I your Valentine girl, and you my Valentine boy." Driving home from school, we always talk about her day (when she will actually tell me.) This particular day her teacher told me they had talked about love. Me: Adley, who do you love? Me: That's great! Who else do you love? Me: Do you love Mommy & Daddy? Adley was having a "terrible 2's" day & I was somewhat exasperated. Me: oh child, you're killing me. Adley: deep breath, Mama, deep breath. I'm sure there are many, many more that I should write down, and I will as soon as I remember them! Like I said, the girl loves to talk so we have some pretty animated conversations! We had lots of fun this week at various fall activities & trick-or-treating! We started the week off with a fall festival at church on Sunday. The kids got to dress up in their costumes & there were carnival games and a train ride. 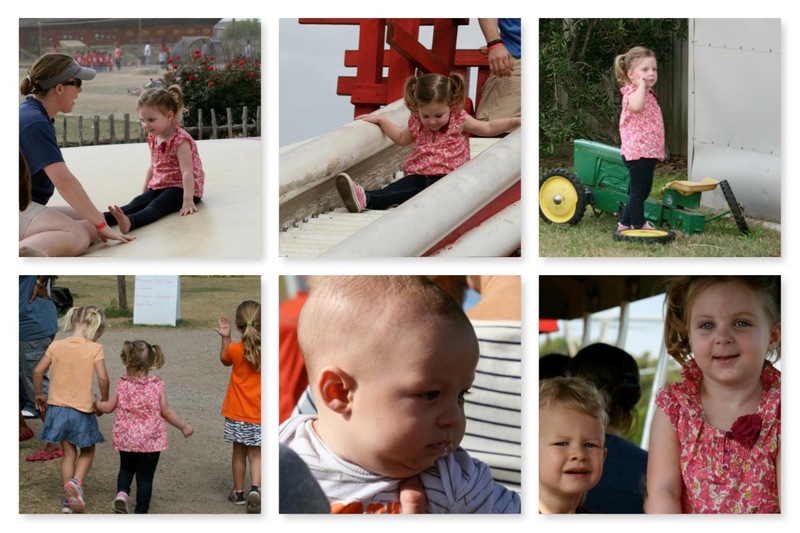 On Wednesday, we went to Dewberry Farms with the Mommy & Me group from church. Although we didn't get to pick a pumpkin from the pumpkin patch (something was wrong with their pumpkins, apparently), we did get to slide on some fun slides, go on a train ride, see some animals & have lots of fun with friends! Adley also spent some time trying to fix a broken tractor because she is "Doc Muffins" and she can "fix it up"! 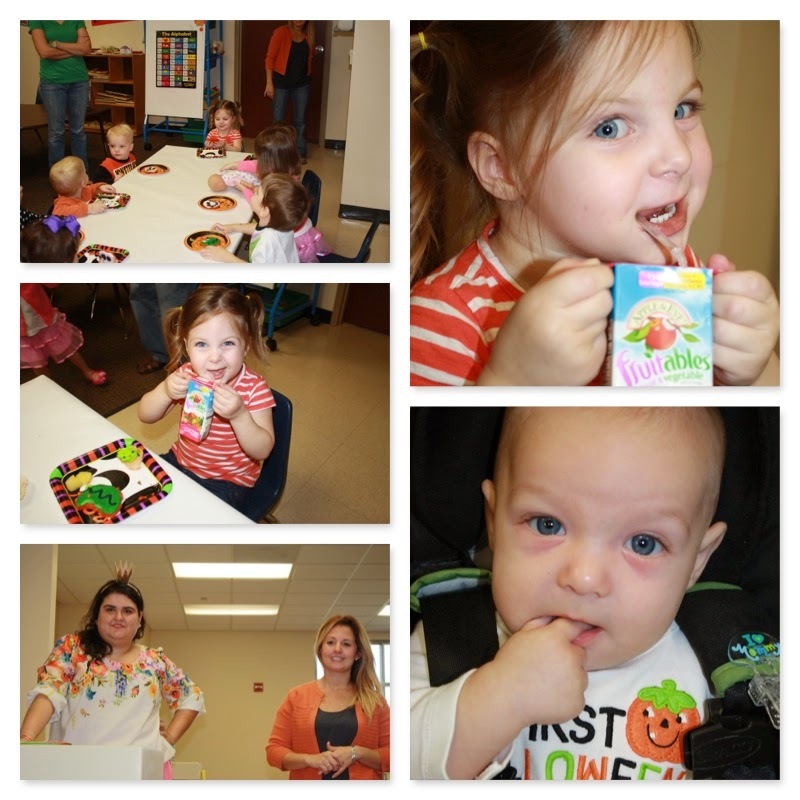 Thursday was the fall party at Adley's school. It was low-key with cookies, fruit, and mini-cupcakes. Adley's favorite part was handing out treats to her friends. She would hand each one the treat and then say "Happy Halloween." She thought giving out treats was pretty exciting! 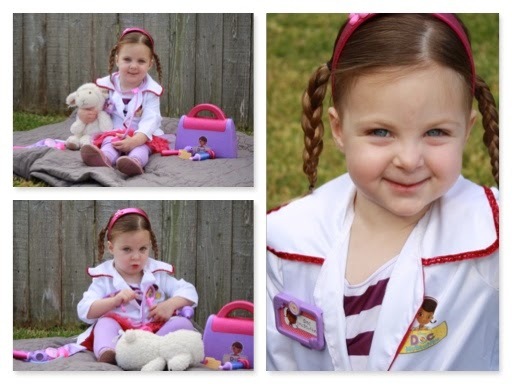 Adley absolutely loves her Doc McStuffins costume. For quite awhile now, she has enjoyed giving anyone and everyone a "check-up" with her "doctors" (a Doc McStuffins doctor kit). 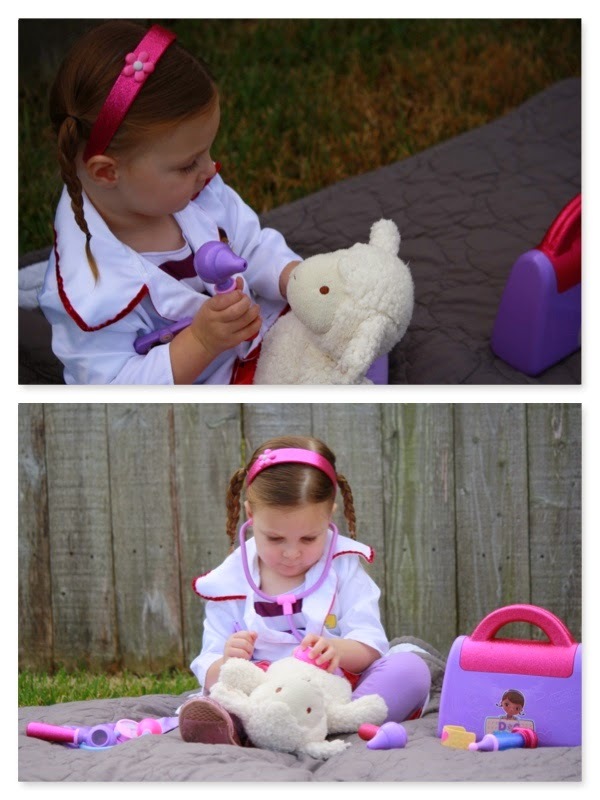 She loves playing with the stethoscope, "ear scope," and the "pressure," and giving people shots, so the costume choice was an easy one! I let her dress up for a little while on Halloween morning so that we could take a few pictures of her in her costume before she was all hyped up & ready to go trick-or-treating. She had lots of fun giving Lambie a check-up outside in the grass. Hudson dressed up as a football player. He was not too thrilled about the costume, but he tolerated it long enough to get a couple of pictures…and it kept him warm during a chilly night of watching Big Sister trick-or-treating! Our final celebration of the week was trick-or-treating on Friday night. 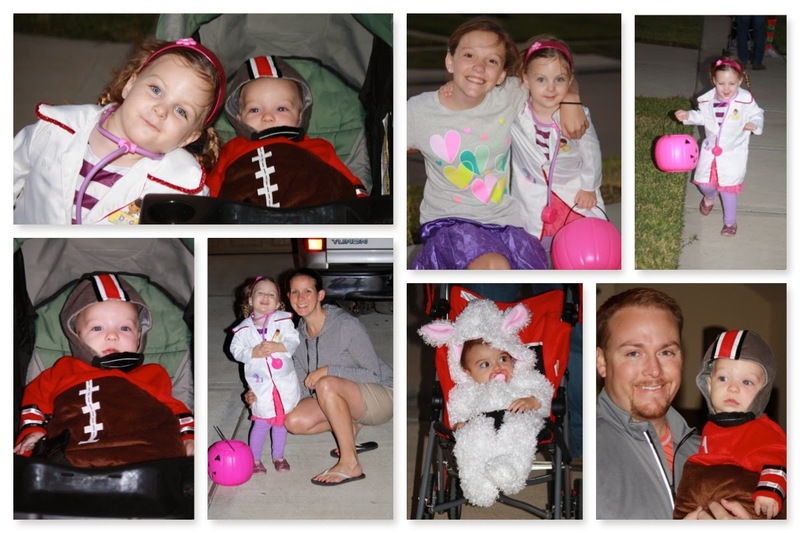 Adley could not wait to go…even though she didn't really even know what trick-or-treating was! She quickly caught on though, and loved ringing doorbells & saying "Trick-or-treat" and "Happy Halloween." Somewhere along the way, she started saying "Trick-or-treat" after they gave her candy. When someone would open the door, she would say "Need more candy, please." Several houses were playing music, and one house was all decked out with lights & people dressed up outside, so she had fun dancing to the festive Halloween music. She also had a blast running from house to house with Ah-ha (Allie) and her friend Haley. 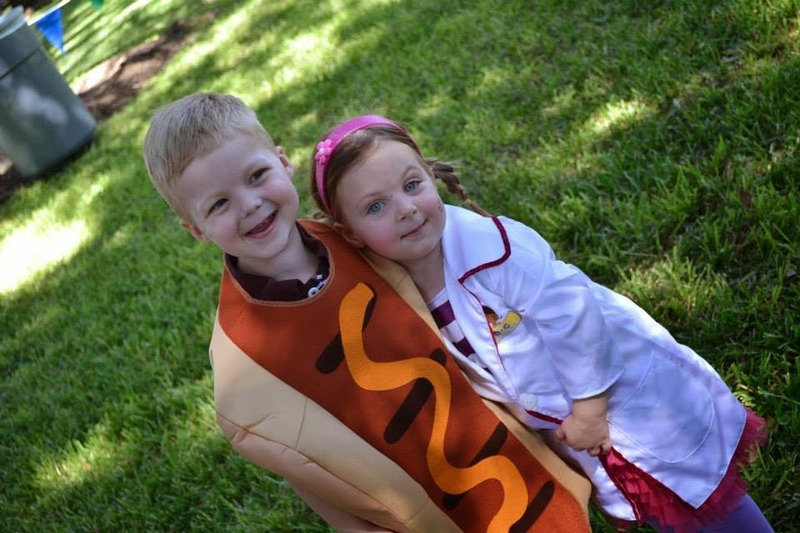 And although they couldn't get in on the trick-or-treat fun, Hudson & Emilia were still dressed up in super cute costumes! So I am a little behind on my blog posting. Since my last post, Hudson has flown past 3 months, all the way to 4 months old! We have been busy the last couple of months, and he has been busy learning new things and keeping us entertained! We went to the Family Retreat, Hudson and I went to Canton with my mom, Aunt LouAnn, and Regina, and last weekend all 4 grandparents were in town! 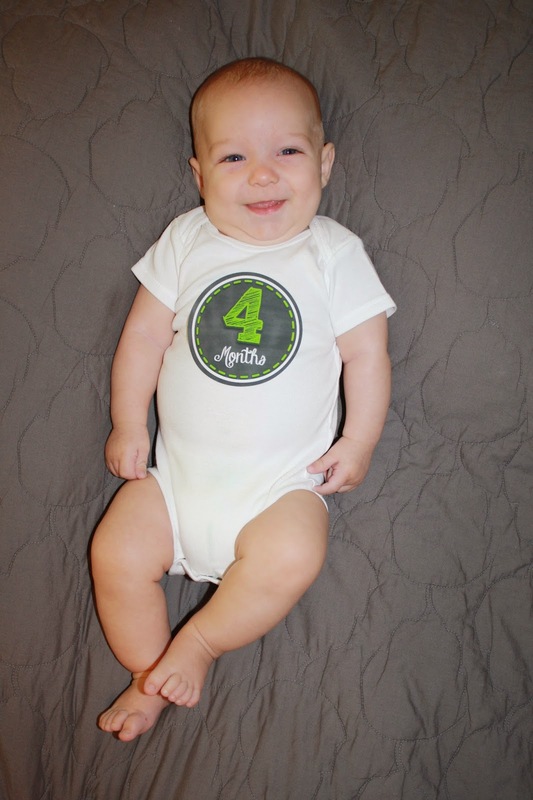 His 4 month stats were 14 lbs 4 oz (26th percentile) and 25 1/2" (70the percentile), so he's tall & skinny for his age! I looked back at Adley's stats at 4 months, and she was the exact same height & only weighed 2 oz more! I guess boys are supposed to be bigger than girls, because she was 70th percentile for weight & 90th for height. These days, Hudson's favorite things to do are chew on stuffed animals, his hands, Mama's fingers, or anything else he can get his hands on, and he drools a lot! We keep thinking a tooth will peek through any minute, but so far we haven't seen any. He loves to smile, especially at his sister, and occasionally does a semi-laugh. He is usually a great napper, taking around a 1 hour nap in the morning & a 2 hour nap in the afternoon, and sometimes throws in a short 3rd nap. However, we are still working on sleeping longer stretches at night. Last night was his best record in awhile…He slept from 12:30 to 5:20! He usually goes to bed around 8:30 or 9, although sometimes he's a stinker & fights it until 10 or so. He eats about every 2 1/2 to 3 hours during the day. He has also learned to roll over from his tummy to his back, although he hasn't mastered rolling the other way yet. He is a strong boy, and most of the time prefers to be standing up when we hold him. Several people have commented about how he won't "bend in half" when they are holding him because they can't get him to sit down in their lap. He tried out cousin Emilia's exer-saucer last week & had a good time in it. He also has started sitting up in his Bumbo seat & really likes this new perspective on life! If I put him in the seat in front of his play mat (with the toys hanging down), he keeps himself entertained for quite awhile. He is still a pretty laid back baby, and is happy most of the time. His eyes have lightened up a lot, and are getting closer to the color of Big Sister's eyes. I love those pretty baby blues! Speaking of Big Sister, she absolutely adores him. Whenever he starts to cry, she'll say, "It's Ok, Baby Hudson. Mama will get you," or she'll run over to him and say, "It's Ok, Baby Hudson, I'm here. I'm here." She loves to hold him, and likes for him to lay on the couch by her while she watches cartoons (with Mama sitting right by them, of course). She often brings him his paci and toys to play with, although we're working on her giving him things gently, instead of chunking them towards his face! Overall, the first 4 months have been great…although I'm hoping the consistently sleeping through the night thing happens sooner than later! Either he is an easier baby than Adley, or I am just a more well-adjusted, relaxed Mama, because this transition has been much smoother. We love you Baby Hudson! We've been from Oklahoma to Montgomery, Montgomery to Chicago, back to Montgomery, out to California and now in Dallas, Texas. The journey has been wonderful but we hope to stay in Dallas for a long while.